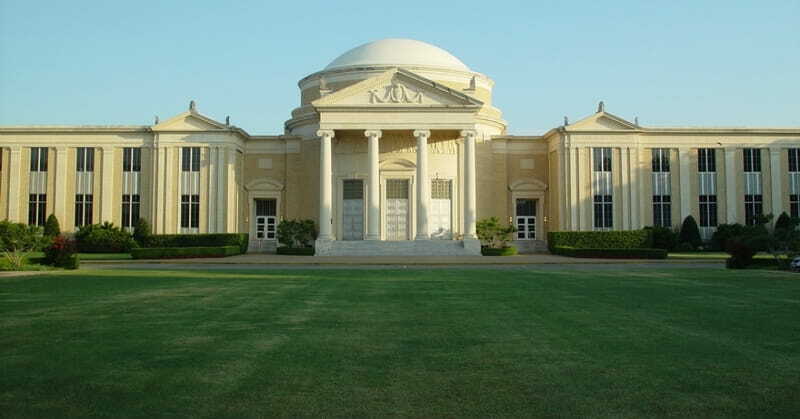 I enrolled at Southwestern Baptist Theological Seminary (SWBTS) in the fall of 1980. Over the next nine years, I received two degrees from the seminary and taught philosophy of religion there. Dr. Russell Dilday, president of Southwestern during my time at the seminary, remains one of the most significant mentors in my life. Much at Southwestern has changed since then, but I continue to be grateful for my years at the seminary. Recent events at SWBTS have generated national headlines. As a Southwestern graduate and former faculty member, I have a personal perspective on this issue. I recognize that many of you are not Baptist, but the topic we will discuss today transcends denominations and is relevant to all believers. Dr. Paige Patterson became president of Southwestern Seminary in 2003. A week ago, the seminary’s trustees responded to escalating criticism of his leadership, especially his statements about women, by voting to change his status to president emeritus. They invited him to reside at the on-campus Baptist Heritage Center as theologian-in-residence and provided ongoing compensation. His status changed again two days ago. This “new information” reportedly included testimony from a woman who says she was raped in 2003 when she was pursuing a degree from Southeastern Baptist Theological Seminary in North Carolina. Patterson was president of Southeastern at the time. She reported the attack the next morning to the administrator who handled student discipline, who in turn reported the incident to Patterson. He met with her but did not report the attack to the police. She claims that he encouraged her not to, as well. The student was put on probation for two years but doesn’t know why, saying it was perhaps because she was with a man alone in her apartment, which was against seminary policy. The firing of Paige Patterson comes at a time when our society is more focused on protecting and valuing women than ever before. Time magazine designated “The Silence Breakers”–the women whose stories launched the #MeToo movement–as its 2017 “Person of the Year.” In one twenty-four-hour period, the #MeToo movement received more than twelve million Facebook posts, comments, and reactions. Harvey Weinstein’s indictment by a New York City grand jury was the latest chapter in this unfolding story. Southwestern’s trustees appropriately declared in their May 30 statement, “SWBTS denounces all abusive behavior, any behavior that enables abuse, any failure to protect the abused and any failure to safeguard those who are vulnerable to abuse.” Many Southern Baptist leaders have praised the trustees for their decisive action. Nonetheless, as the issues that led to this Daily Article demonstrate, we need to declare and defend the rights and value of women as strongly as possible. I am the husband of an amazingly gifted wife, the father-in-law of two incredible women, and the grandfather of a perfect (I may be biased) granddaughter. Each of them is indescribably precious to me, and even more to their Father in heaven. It should go without saying that they should never have to face abuse. It should go without saying that if they do, they should receive every last measure of support and protection from their family, their church, and society. But obviously, these things need to be said. But we must not disagree regarding the value of women. Scripture boldly proclaims: “There is neither Jew nor Greek, there is neither slave nor free, there is no male or female, for you are all one in Christ Jesus” (Galatians 3:28). Every woman is just as cherished by God as every man. Any seminary, church, organization, or family that demeans, objectifies, or oppresses women is unbiblical and sinful. Any man who sees any woman as less than his equal is wrong. There are no exceptions. I will be eternally grateful for two Baptists who knocked on my apartment door and invited me to their church. The pastor’s wife taught my Sunday school class and led me to faith in Jesus. Baptists provided for my education from college through my doctorate. I pastored four amazing Baptist churches and continue to serve with world-changing Baptist institutions. I embrace the historic Baptist distinctives of local church autonomy, the priesthood of every believer, and the separation of church and state. While I know that God’s Kingdom is much larger than any single denomination or church, I am indebted to the Baptists whose faithfulness continues to shape my life and work. But no denomination, church, or leader is above biblical accountability. I affirm the SWBTS trustees for their decisive action and hope it sends a clear and powerful signal that all women are to be respected, affirmed, and celebrated. Jesus chose women to support his ministry (Luke 8:1-3), declare his resurrection (John 20:11-18), and help lead his church (Romans 16:1-7). If we love and serve him, we must love and serve everyone he loves. St. Augustine famously stated, “God loves each of us as if there were only one of us.” So should we.